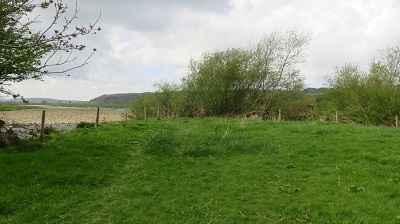 Last month the Lancashire Dotcom Walkers gathered in Hornby for a walk that was to visit the Scarecrow Festival at Wray a short distance away across the fields. 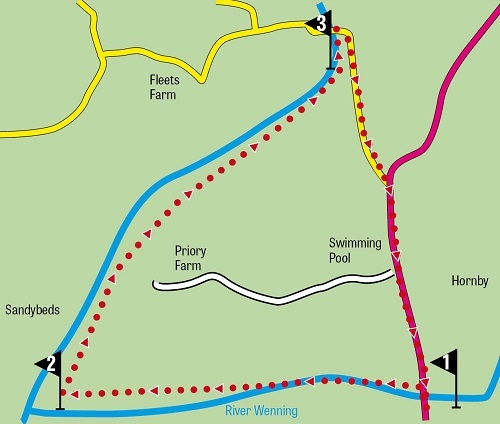 Walk organisers will know one of the most important considerations on a walk is the availability of “facilities” at the start. It can mean all the difference between comfort and distress. Of course in remote locations there are no facilities which necessitates alfresco arrangements involving walls, trees or shrubs. For chaps this is more easily managed but for ladies it can be awkward. I knew from previous visits to Hornby that the Village Institute was often open in the morning so I arranged in advance for the Dotcoms to have a brew and use the facilities. Not only were we warmly welcomed by the volunteers who help out but this gave us access to one of the finest amenities of its kind in Lancashire. Within and without Hornby’s Village Institute is an attractive building in a village that boasts many attractive buildings. It dates back to 1916 when the Lord of the Manor Colonel Foster had it built as a 21st birthday present for his son and the men of the village. It had a reading room, a billiards room and a room upstairs for the ladies. 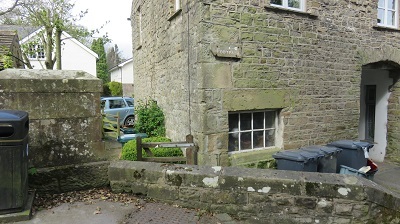 At different times extensions and alterations have been made but the essential purpose of Institute as a centre for the social life of the village has endured. In 2006 it underwent a major refurbishment after a successful application to the National Lottery Heritage Fund. I think I must visited the Institute soon after the work was carried out and recall the sense of pride the villagers I met had in what had been achieved. They had every right to be proud – the extensions and alterations had been carried out in a way that was sensitive to the building’s long history and yet ready to meet the needs of village life in the 21st century. For many of us the idea of living in the countryside appeals at a deep level – a desire to return to some kind of pre industrial idyll. 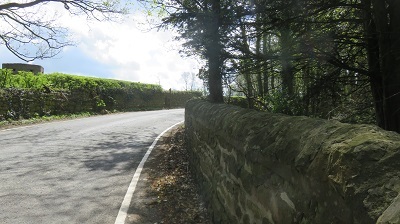 The reality is that rural life comes at a cost – public services tend to be distant, commodities and fuel are more expensive, village shops and pubs find it harder to make a living while second home ownership makes property prices prohibitive in places like the Lakes and Dales. This is why centres like the Hornby Village Institute are so important in helping people create a vibrant community life which was clearly evident on our brief visit and appreciated by the Dotcom Walkers. They also appreciated the facilities! 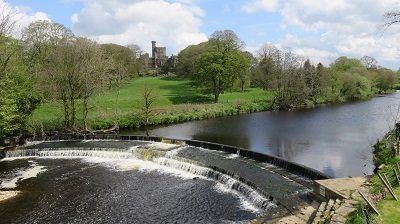 Here is a lovely riverside walk from Hornby with fine views of the Yorkshire Dales. Terrain: Mainly easy walking by the riverside or on tarmac. 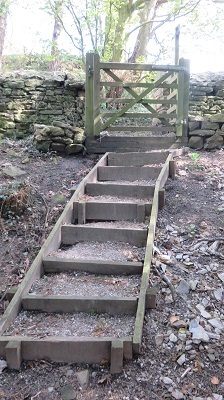 before crossing a stile into open fields. 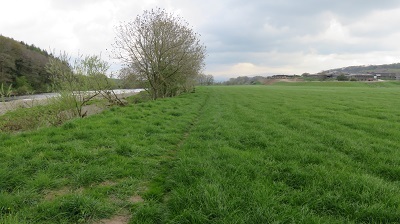 Keep ahead along the banks of the River Wenning to its meeting with the Lune. About 15 minutes from Hornby you will come to the confluence. as you near the bridge. 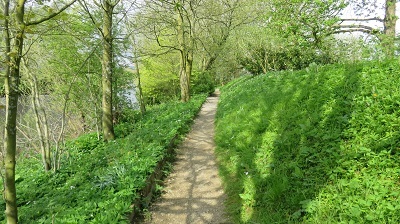 The path enters woodland (bedecked with bluebells in spring). 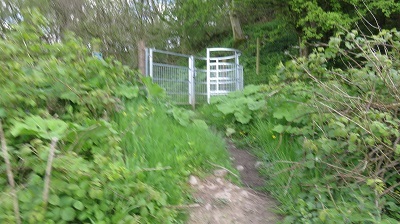 Some 100yds before you reach Loyn Bridge take a concessionary path on the right to the lane. 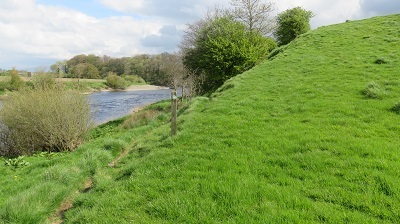 The path rises steeply from the river. 3. Turn right onto Fleet Lane. 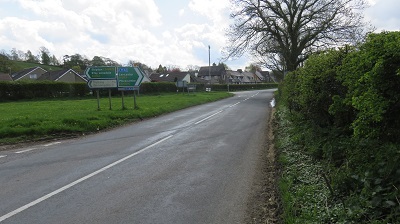 turn right for the village centre. 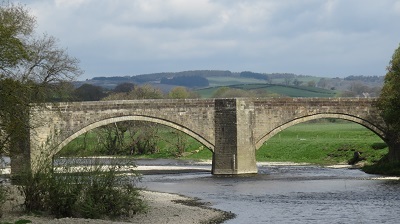 The privately owned grade 1 listed building perches above the village and can be best seen from the bridge. Built originally for the Neville Family in the 13th century the Castle has undergone numerous restorations. The present building mainly dates from the middle of the 19th century. 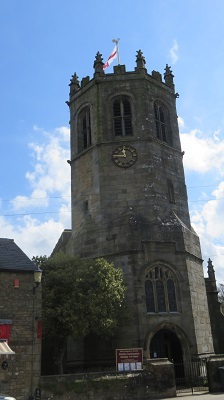 The most obvious and striking feature is its octagonal tower commissioned by Sir Edward Stanley, then occupant of the castle at the start of the 16th century. It is reputed to be an act of thanksgiving on his safe return from the battle of Flodden Field in 1513.